Yellow spotted red flowers with green leaves. 48″ cm. 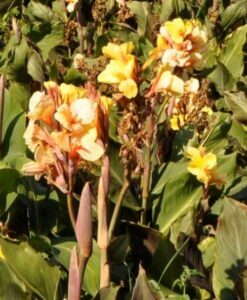 Canna’s are tall summer plants, ideal as a centre piece in beds or large containers. 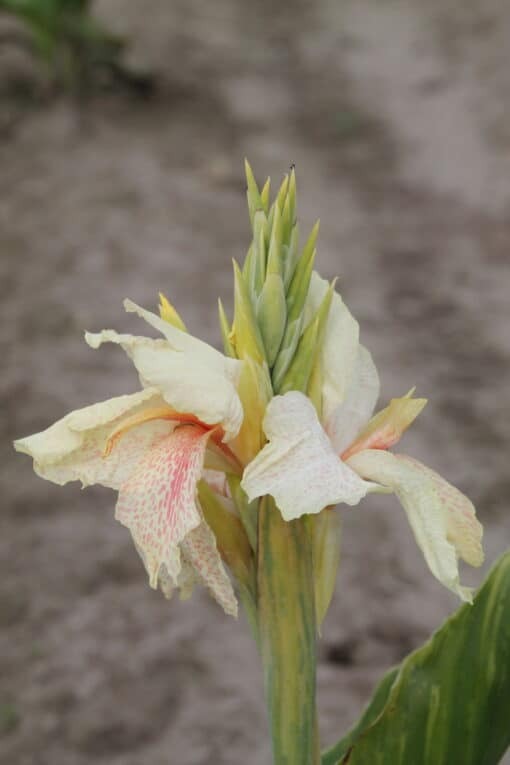 They are best started into growth indoors before April and planted outside after the fear of frosts in May, although they can be planted direct into the soil when the fear of frosts have passed. They provide spectacular colour in any garden and can be overwintered for flowering the following year. When storing use something such as yellow sulphur to help protect the rhizomes.